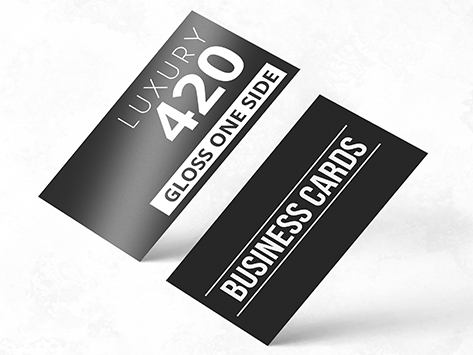 Printed on our premium 420gsm card with a gloss cello applied to both sides. This is a very shiny plastic that is applied to both sides of our premium stock. It makes any images, photos, and colours pop but has one caveat in that you cannot write onto this stock. Normally used as purely a premium business card and is popular with Art Gallery and visual art clients. The plastic gloss cello also protects the business cards from fingermarks, giving the best first impression. Order your premium gloss cello both sides business cards from Idprint via our website by the Sunshine Coasts best business card printer and I will throw in free delivery to any Australian address!